For the first time, beginning Jan. 1, truck drivers being administered random pre-employment and post-accident drug tests will be screened for four additional synthetic opioids, the highly addictive drugs that likely will require medical experts to consider prescriptions that balance pain mitigation with safety performance. While indications are that most of the private drug-testing labs are ready to conduct the four additional Department of Transportation-mandated tests, the new requirement likely will slow down the process for medical review officers to screen an increasing number of positive test results, according to Barry Sample, senior director of science and technology for Quest Diagnostics, a leading U.S. drug test provider. Testing for hydrocodone, hydromorphone, oxymorphone and oxycodone could result in drivers — even with prescriptions for the pain killers — failing their tests and those positive test results being referred to a medical review officer to determine if a driver should be allowed to get behind the wheel. 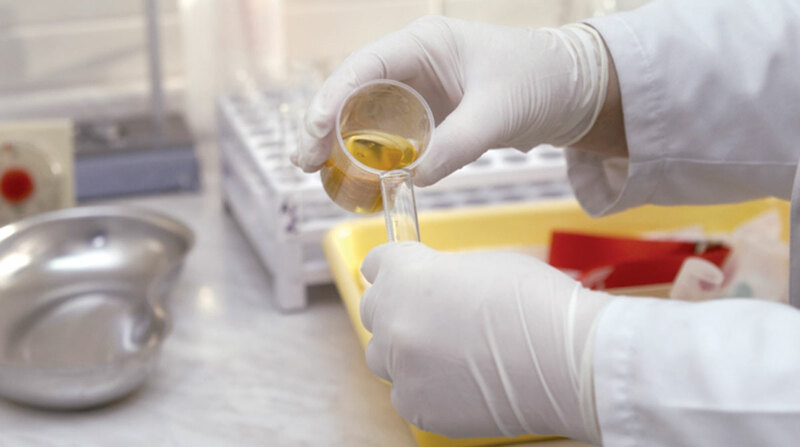 The primary responsibility of a medical review officer is to verify if an employee has an alternative medical explanation for a lab-confirmed positive test result. A lab sends all test results, positive or negative, to an MRO, Sample said. Abigail Potter, manager, safety and occupational health policy at American Trucking Associations said, “If someone gets dinged as positive, an MRO reviews it, and if the MRO finds that the person had a legitimate prescription under the controlled substance act, then it will most likely be marked negative. The DOT final rule, announced Nov. 9, would continue to make medical review officers the ultimate decision-makers of whether a driver, with or without a legal opioid prescription, is fit to drive. If the driver with a prescription for an opioid passes the drug test but still is not deemed fit to drive, the medical review officer can still forward a “safety concern” letter to the driver’s employer, but only after a five-day waiting period, Sample said. The waiting period would allow the driver’s physician to further discuss the matter with the officer. During the comment period for the proposed rule earlier this year, several commenters expressed concerns that adding the opioid tests will increase circumstances in which drivers innocently using opioids would be unfairly treated as drug abusers, with consequent positive tests harming their careers. In response, DOT said it added language in the final rule to prohibit an MRO from denying a legitimate explanation based on whether the officer thinks the prescribing physician should not have prescribed the medication to the driver. Yet, the agency said in its final rule that it’s important to note that when there is a valid concern about whether the employee can continue performing safely, the prescribing physician still may be asked to reconsider the employee’s use of the prescription. And, even when a prescription is legitimate, the MRO can forward a “safety concern” letter to the driver’s employer. Sample said the odds of failing an opioid test with a valid prescription are “very dependent” on the pattern of use, dosage, frequency of use and an individual’s metabolism. The detection window for the new opioid tests is shorter than for many other drugs, Sample said. “We generally say that most drugs on the [opioid] urine screen will be able to detect use within the last 72 hours,” he added. Sample said opioids are sedating, may cause decreased reaction time and increase sleepiness.